In an effort to help ensure vehicles safely exit the parking area of the John H. Glenn Elementary School onto Turnersville Road, a no parking zone has been established westerly of the point of egress. 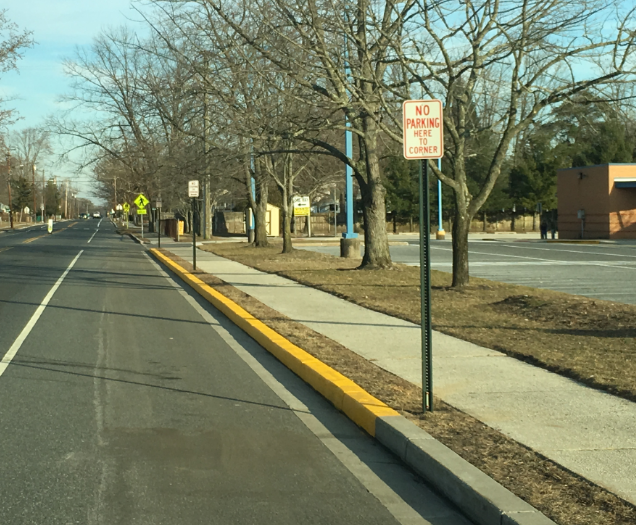 The 200’ parking prohibition is necessary to provide the required sight distance as determined by the Borough Engineer, with reference to all applicable rules, regulations and requirements. On January 23, 2017 Borough Council approved Ordinance 2017-951, amending Borough Code Chapter 8, Sections 11 and 14 as noted below.